Prenota al telefono e Online! Sconcertato dall'innumerevole presenza di ristoranti turistici, mi affido a Trip per trovarne uno non lontano dalla mia posizione ed ecco che salta fuori questa trattoria! Cucina tipica toscana, inutile dire che per metterla alla prova abbiamo ordinato due fiorentine da 900 gr. e 800 gr. con contorno di frittura di verdure. Eccezionale! La carne di una qualità pregevole, morbida, dolce e gustosa, cucinata in maniera esemplare e servita in altrettanto modo! Leggera la frittura di zucchine e carciofi coperti da una pastella soffice e delicata, non unta. Da provare i cantucci al vin santo!. Abbiamo cenato in questa trattoria (secondo me si potrebbe tranquillamente chiamare Ristorante, ovviamente con la R maiuscola), tutto veramente ottimo. Abbiamo mangiato i piatti tipici fiorentini: pappa al pomodoro, tagliata di carne, cantucci e vin santo; tutto ovviamente accompagnato con dell'ottimo chianti. Il personale è veramente accogliente e professionale. Consigliatissimo!!. Cucina molto buona ed economica, la fiorentina era strepitosa e i proprietari davvero gentili e premurosi. The restaurant came recommended by our Hotel in Florence, We ended up going back every night as the food on the first night was so fantastic. Seafood pasta! Excellent. Bistecca Steak! Wow!!! Seafood risotto yummee!!! Salmon and roasted potatoes, salad. 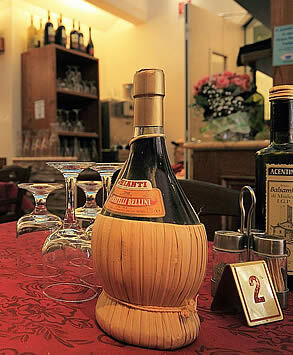 If you are lucky enough to be in Florence and looking for fantastic food, local atmosphere at a good price, then go to the Trattoria for a meal. I promise you that you will go back for more! After missing lunch, we were looking for an early dinner (which isn't easy in a country that likes to start their dinner service at 7pm). We stepped into an empty Trattoria Katti and asked if we could be served. After having been seated for only a minute or 2 the owner stepped out and whispered to her; she came to the table and apologized ... "our chef is not here yet; we expect him in 15 minutes, the owner is very sorry." We asked for wine and said we would be happy to wait. A 5-euro caprese (probably the best we've had in our travels in Italy) and an appetizer of fried artichoke made us happy, happy, happy. 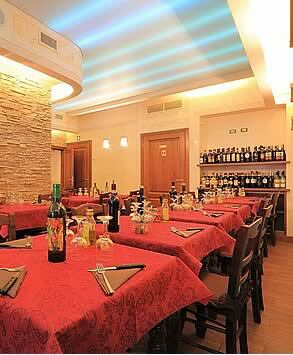 We had a great dinner with good service, great house wine, at a very good price. "Welcoming people and good food"
We were recommended this Trattoria by our hotel. When we got there it was nearly full and the only table was right next to the front entrance. We liked it so much we went back the next night. The staff were extremely friendly and we chatted to them during the course of our meal. The kids were treated quite well and learned some phrases as well as the meaning of some of the songs that were played during our stay. The winner was when our eldest suffered a short bout of home sickness and was given a bowl of strawberries to console her. 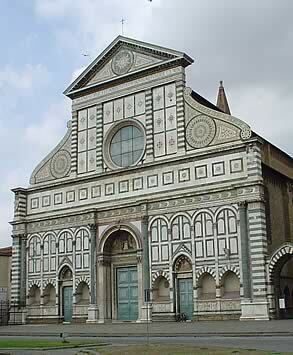 The is a place I would recommend and will be back when I go to Florence again!